When you first start acquiring coins, you should find that most can go straight into your collection. As your collection grows, though, you're going to get coins that you already have. Maybe someone brought you back a handful of coins from their trip, and there are several of the same coin. Or you bought a bag of mixed coins at a coin shop and ended up with some that are already in your collection. Since you probably don't want to keep all these extra coins in your collection, what should you do with these duplicates? Would you consider these duplicates? First you should make sure that it truly is a duplicate, and that's going to depend on what you're collecting. If you are collecting one coin from every country, then another coin from the same country, no matter how it's different, would be a duplicate. If you're collecting the many different denominations and styles from each country, then a duplicate coin would be from the same country, have the same denomination (amount, like "25 cents"), and would probably have the same or a similar year. Some coins, such as those from Switzerland or the United States, change very infrequently. 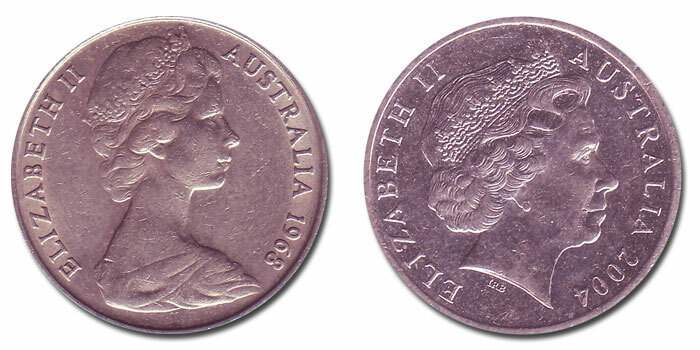 A coin from 30 years ago might be exactly the same as a coin today. Other coins may change as frequently as every year (or even many times a year, like the State Quarters from the United States) due to government or ruler changes, monetary changes, or to celebrate or commemorate a person or event. So the coins from 1995 and 1996 may be significantly different - and you may want them both in your collection. If you're keeping track of your collection in a list or spreadsheet, then checking a new coin's country, denomination, and year against your list is a good first step. If you have the same coin from the same year, then it is almost certainly a duplicate (the exception being sets like the State Quarters, where there are several different styles in a single year). But if the new coin is a few years away from the coin in your collection, you may want to compare it to the actual coin in your collection to see if they are truly the same. This is where a Web site like Numista can be helpful, because you can quickly look up the coin in your collection and compare it to the new coin. If you've determined that the new coin really is a duplicate of one in your collection, you next need to decide which one to keep. Compare the new coin to the one in your collection and see which one is in better condition (shinier, cleaner, fewer scratches, more detail visible). If they appear to be in similar condition, you may want to keep the older coin. If you like the new coin better than the one in your collection, don't be afraid to replace it. Once you've decided which coin to keep, you're still left with one that you don't need. Here are some ideas for what you can do with your duplicates. Save them for trading. If you don't have anyone to trade with now, you will probably find someone sooner or later. So keep your duplicates in a bag or box so that when the time comes, you have some coins to trade. Without your duplicates, you'd have to trade coins in your collection - and they're in your collection because you want to keep them, not trade them for other coins. Give them away. You can use your duplicate coins to get someone else - a friend, a relative, a co-worker - interested in collecting world coins. 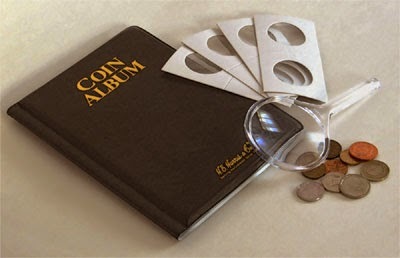 Give them a set of 5 to 10 different coins from your duplicates and see if they start their own collection. Then you'll have someone you can trade your duplicates with (once they start getting their own coins). Trade online. Web sites like Numista and World Coin Gallery help collectors trade their duplicate coins with other collectors by letting members see what they have to trade. You'll have to pay postage to mail your coins to someone else, but if you don't have any collectors nearby that you can trade with this can be a good way to both get rid of your duplicates and acquire some new coins in the process.